Osteopathy is a manual medicine developed by Dr. Andrew Taylor Still in the United States in the late 19th century. This renowned anatomist was the precursor of dissection work focused on the anatomical relationships between the skeleton and the physiological systems of the body. Dr. Still discovered the fundamental importance of the loss of bone and joint mobility on the patients’ health, especially spinal and skull dysfunctions. His research led him to develop an original treatment method based on knowledge of anatomy and the application of a very precise clinical examination. 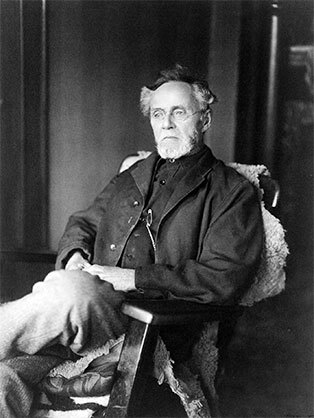 After several years of research and work, he founded the first school of osteopathy. Today, this approach of health concerns millions of people around the world. The manipulations always respect the precautionary principle and are applied according to the age and the antecedents of the patient. To understand the effects of manipulations of the body on human physiology, we must refer to the scientific foundations of osteopathy. The manipulations have a very understandable mechanical effect on the structures. It has been demonstrated (works of Professor Irvin Korr) that this mechanical effect solicits the articular nervous system by its action on tissues (capsules, ligaments). Structures governs functions. This is easily understandable when one observes the diagrams of anatomical distribution neurological spinal cord and vertebral segments that relate. The practitioner makes the link between the symptoms described by the patient and the mobility tests he performs during the clinical examination. He ensures his ability to treat the case safely. This clinical synthesis leads to osteopathic treatment which can address all anatomical systems. The manipulations always respect the principle of precaution and are applied according to the age and the medical history of the patient. The osteopath thus broaches a multitude of pathologies that require fundamental and medical knowledges contained in his training, without spilling over therapeutic interventions reserved for other specialists. The osteopath must be able to treat all types of pathology and control his practice, regardless of the type of patient to handle. It is therefore essential to follow rigorous and qualifying training in order to become a responsible, autonomous therapist who respects the health of all patients. 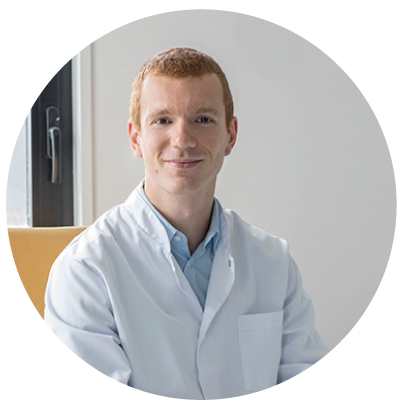 At the end of his studies, the young graduate osteopath has several opportunities. Traditionally, it begins with the replacement of osteopaths on vacation or maternity leave. This allows him to gain experience and discover new osteopathic practices, but also new territories. The solution of assistantship is also regularly privileged. The confirmed osteopath who has more patients than he can treat can call on a young graduate to accompany him. In this way, the latter creates his clientele and in return pays a portion of his fees to the incumbent to cover the running costs of the surgery. Regularly, the assistantship and the replacement result on an association. Last solution, the immediate creation of a surgery. Some students start as soon as the end of their course. In parallel with these “classic” job opening, osteopaths are flowing in new territories with high potential. First, hospitals and retirement home are more and more applicants for osteopathic care for their patients. More recently, osteopathy is making its way into the professional world. To prevent MSDs (Musculo Skeletal Disorders) and improve the comfort and well-being of their employees, more and more firms are using osteopaths. This invested money is largely offset by the sharp decrease in the costs of work stoppages.